Originally published by the City Plaza refugee accommodation Facebook page. The fascist attack to the offices of the Afghan community does not scare us. It is outrageous! 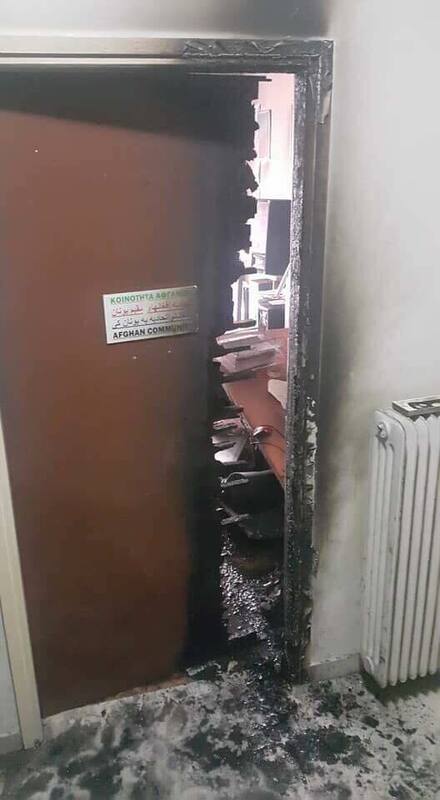 The current incendiary of the Afghan community’s offices in Athens shows that fascist terrorism has become constant here, being always dangerous as well as miserable. The general political climate coupled with the tolerance by police and juridicary encourage the fascists. Only a few weeks ago Golden Dawn was a fully accepted component of the Nationalist rally for the Macedonian question. A few days ago the Nazi criminals of Combat 18 were not characterised by the public prosecutors as terrorists. Roupakias on the other side together with others are still moving around free, due to a trial which is proceeding as slow as a turtle. It goes without saying that today’s attack does not scare us. It is outrageous! We call on the anti-fascist movement to intensify its mobilization to answer the fascist threat in essence and we express our solidarity with the Afghan community.